Home Health Study | What bacteria is living in your home? Find out how we can make your home a healthier place. Did you know that carpets, area rugs, and upholstered furniture are a giant allergen and bacteria trap? And that’s a good thing! Fabrics in our homes can keep many harmful molecules out of the air we breathe in order to make our homes cleaner and safer. But, just like an air filter, carpets become filled over time and must be properly cleaned to remain most effective at trapping particulates as they settle from the air. If you don’t clean carpets consistently, you will release allergens and other particles with every step, instead of trapping them. This concept is extremely important for home health and indoor air quality. For the 1 in 5 Americans (roughly 60 million) that have allergies or asthma, removal of airborne allergens and other molecules is especially important. Regular vacuuming and cleaning coupled with a professional cleaning 3-4 times a year are one of the best ways to rid your home of common allergens and bacteria. We don’t just expect you to take our word that our carpet cleaning makes your home healthier. In order to prove it, Chem-Dry commissioned a leading independent air quality laboratory to conduct a study on our ability to remove allergens and bacteria from your home. The study tested our innovative Hot Carbonated Extraction (HCE) carpet and upholstery cleaning method. We tested not only allergen and bacteria removal in our carpet cleaning, but also our upholstery cleaning and our Pet Urine Removal Treatment (P.U.R.T.®). This study used a cross-section of various consumer homes throughout both the US and the rest of the world. We remove 97.4% of allergens from carpets. We remove 99.1% of allergens from upholstery. We remove 89.0% of airborne bacteria in the home, significantly improving indoor air quality. This test incorporated the addition of a sanitizer to the cleaning process. Our P.U.R.T.® treatment is 99.9% effective on average at eliminating pet urine odors. Our P.U.R.T.® treatment removes an average of 99.2% of the bacteria from the pet urine stains in the carpets. The independent lab tested our Tile, Stone & Grout Cleaning Process along with a sanitizer (using Milgo Plus in some tests and Benefect Decon 30 in others) on tile surfaces. Our Tile, Stone & Grout cleaning process along with a sanitizer removed an average of 98.6% of the bacteria from the tile surfaces. Indoor air quality impacts all of us, especially those who suffer from allergies and disorders like asthma. Too many allergens in the air can make it hard to breathe and can even prompt an allergic reaction or asthma attack. The fact is, we spend an average of 90% of our time indoors! That’s why it’s so important to have good indoor air quality. And one of the best ways to control air quality keeps your carpets clean. Professional carpet cleaning is so important for the health of your home and your family. However, not all carpet cleaning services are alike. What makes Chem-Dry of Northern Nevada so much more effective than other Reno carpet cleaners? Our independent Home Health Study found that Chem-Dry’s Hot Carbonating Extraction (HCE) removed an average of 98.1% of common household allergens from the carpets and upholstery in multiple homes. The common allergens we tested include cat and dog dander and dust mite allergen. Try to find another local carpet cleaner that has put so much time and money into research and product improvement. Did you know that the average home harbors about 200,000 bacteria for every square inch of carpet? That means billions of unwanted particles are released to float around your home every time people walk, play, or sit on the carpet. Those particles circulate in the home until you breathe them in or they are removed by a professional carpet cleaner. A Chem-Dry carpet cleaning improves the air quality in your home. The same leading independent air quality laboratory found that, when adding sanitizer to our HCE carpet cleaning process, we removed an average of 89% of the bacteria in the air and 82.3% of the bacteria from carpets. 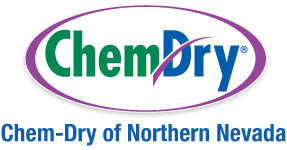 In order to breathe easier and make your home a healthy one, call Chem-Dry of Northern Nevada today! Whether it’s because of allergies, asthma, or just healthiness, we’ll remove allergens and bacteria in your home. We will improve your indoor air quality and ensure a safe and healthy home environment for you and your loved ones.